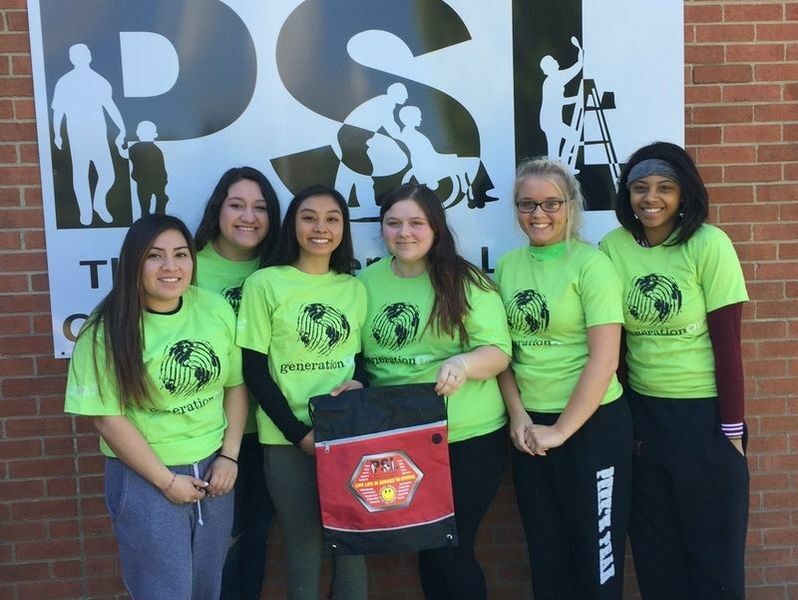 Perry Service Learning (PSL) is an elective for seniors at Perry High School that combines English and social studies curricula with volunteer opportunities to promote social involvement through education and service. The learning modules below represent topics studied throughout the year. Click on the image associated with each topic to see learning targets and lessons. Each topic explored in PSL is driven by essential questions. According to Grant Wiggins and Jay McTighe, essential questions "are not answerable with finality in a single lesson or a brief sentence - and that's the point. 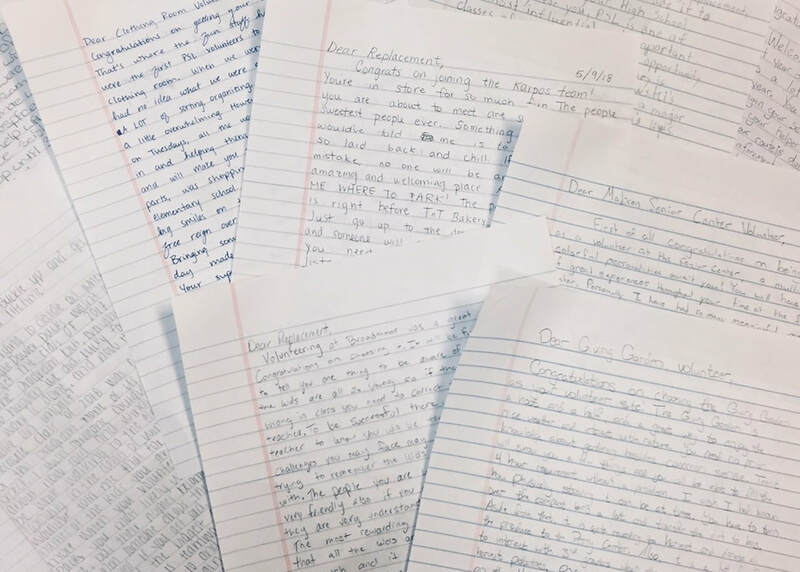 Their aim is to stimulate thought, to provoke inquiry, and to spark more questions, including thoughtful student questions, not just pat answers." The questions below are intended to serve as doorways through which learners can explore important concepts, themes, theories, issues, and problems within the course content and deepen their understandings. Effective service learning programs engage students in a process of preparation, action, and reflection. 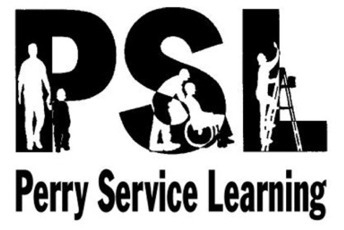 Service learning 101 serves as an introduction to the service experiences students will encounter in the PSL program. What is the difference between helping and serving? How does service change lives? An estimated 3.5 million people experience homelessness each year, 39 percent of which are children. The recent recession and foreclosure crisis resulted in increasing numbers of families experiencing homelessness and poverty. This unit affords students the opportunity to examine the social, institutional, systematic, and internalized causes of oppression against the poor and homeless while analyzing the progress of organizations attempting to end poverty and homelessness. Who are the poor and the homeless? Why do poverty and homelessness remain problems in our modern world? How can people, working individually or collectively, work to address the issues of poverty and homelessness in their community? What does it mean to be a philanthropist? How does charity differ from justice? Today, there are almost as many ideas about how to reform the United States' education system as there are people in the United States. Reformers address a wide range of issues: teacher evaluation, standardized testing, school choice, funding, and cultural attitudes toward education. This module will afford you the opportunity to analyze and evaluate proposed school reforms. What are the qualities and characteristics of a great school? Who is responsible for creating and sustaining great public schools? 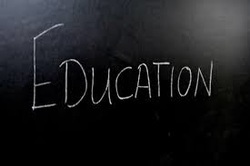 What needs to happen in your community, state, or country to improve public education? This unit affords you the opportunity to reflect on the meaning and purpose of your service experiences, and to articulate how your actions affect our community. As part of this process, we will consider the people and experiences that characterize your service and studies. We will also engage with the reflections of others to better understand our individual and collective responsibilities. What are the core elements of powerful relationships? What might happen if we choose to invest time in others? How might listening be addressed within each level of civic engagement? How can people working individually and collectively combat the loneliness epidemic? ​Building and maintaining relationships is the foundation of a powerful service experience - and a meaningful life. This unit challenges us to closely examine the core elements of powerful relationships and practice those philosophies through service experiences. 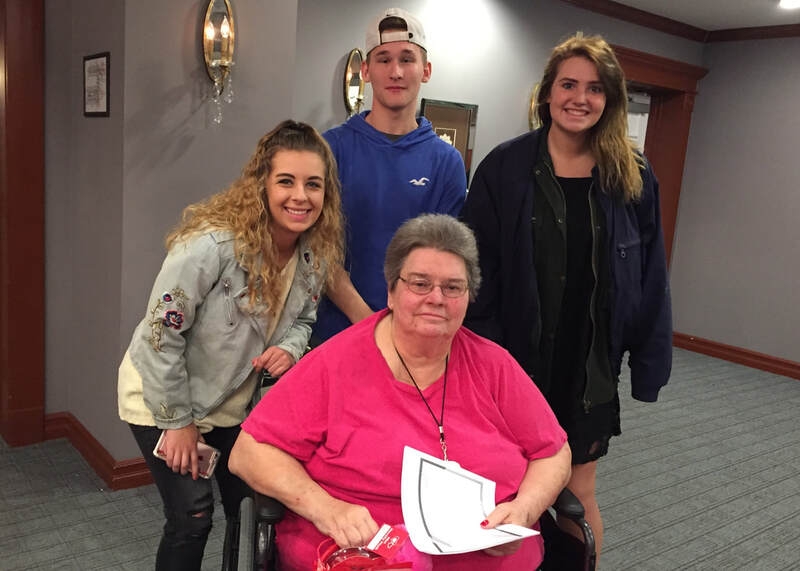 Specifically, students will examine the loneliness epidemic faced by many elders in our community use reminiscence therapy to promote wellness for the young and young at heart. This unit will afford you the opportunity to discover where today's immigrants to America are coming from, what is motivating them to leave their homeland, and what obstacles they face upon arrival. Along the way you will analyze proposed immigration reforms from a variety of perspectives and identify strategies that can be implemented to address immigration concerns in our country and in our community. Why do some immigrants experience oppression? How do beliefs about immigrants vary among social, economic, and political groups? Should immigration be restricted or regulated? When? Who decides? 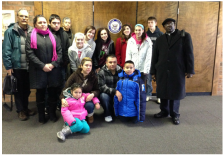 How can citizens affect meaningful change on the issue of immigration reform? Federal legislation in the 1970s and 1990s helped millions of Americans with disabilities lead more independent lives. Although great strides have been made, people with special needs still face bias, harmful stereotypes, and irrational fears that result in their social and economic oppression. 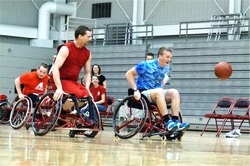 This unit challenges students to raise awareness about the abilities of people with disabilities in an attempt to build a more inclusive community. Why do people with special needs find it challenging to be fully included in school, work, community, and family life? How do the stereotypes about people with special needs differ from the reality? How can people advocate to work for the expansion of rights for people with special needs? In his book titled Man and Nature, George Perkins Marsh asserts that great civilizations decline because they adversely affect their environment. In this unit, students will assess the impact of human activities on current and future generations from a variety of perspectives. 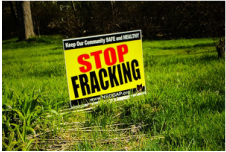 Specifically, students will examine the distribution of environmental benefits and burdens in Northeast Ohio and raise awareness about environmental justice issues through photographs. How can photography serve as a tool for civic engagement? Do civilizations decline when they adversely affect their environment? How can people, working individually or collectively, advocate for sustainability in their community, country, or world? Is there ever a fair distribution of environmental burdens & benefits in a community? Many in our community are struggling with the devastation caused by the heroin epidemic gripping our county and our state. This unit challenges us to become community activists. As we collectively fight this silent and often stigmatizing crisis, we seek to provide resources - and hope - to those ravaged by its effects. 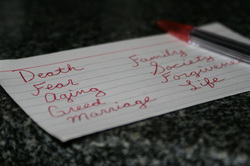 What are the inequalities that you see in your community, country, or world? What can be done to address the inequalities that you see? What are the characteristics of a community activist? Service exposes students to realities that often differ from their own. In order to take meaning away from these experiences, students must actively and regularly engage in the process of critical reflection. PSL was carefully designed to help students practice civic engagement by working for justice, becoming advocates, and affecting change. These experiences consider how students learn, how they think, the nature of experience, and how to educate for active participation in democratic life. What needs exist in our community? What assets exist to address those needs? ​Why must citizens in a democracy be civically engaged?